Simon & Schuster, 9781451627473, 256pp. 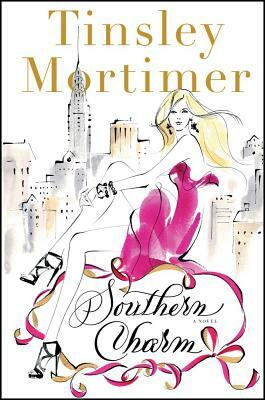 The entertaining first novel by socialite Tinsley Mortimer about a Southern Belle thrust into the frenzied world of high society in New York City. Tinsley Mortimer grew up in Richmond, Virginia, and is a graduate of the Lawrenceville School and Columbia University. She has since been featured on the pages of many fashion and celebrity publications, including Vogue, WWD, Harper’s Bazaar, and Marie Claire. Tinsley has also served as a “Beauty Ambassador” for Christian Dior and currently designs a line of handbags for the Japanese company Samantha Thavasa and her own ready-to-wear line available only in Japan. She lives in New York City.